Your trusted guide for writing and researching in Biology. Written by a professional biologist who is also an experienced writing teacher, this comprehensive guide for students writing in biology, zoology, and botany provides accessible, detailed instruction on researching, drafting, revising, and documenting papers, reviews, poster presentations, and other forms of science writing. The sixth edition features an expanded and revised chapter 1 on research strategies and sources and new technology tips throughout for searching databases and using software designed for charts, graphs, note-taking, and documentation. 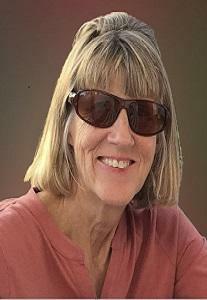 Victoria E. McMillan (PhD, Syracuse University) teaches in the interdisciplinary writing department, the biology department, and the women's studies program at Colgate University. 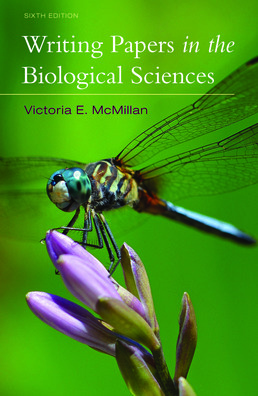 A behavioral ecologist who has published a number of scholarly and popular articles on animal behavior, McMillan is currently focusing her research activities on reproductive strategies in insects, dragonflies in particular.